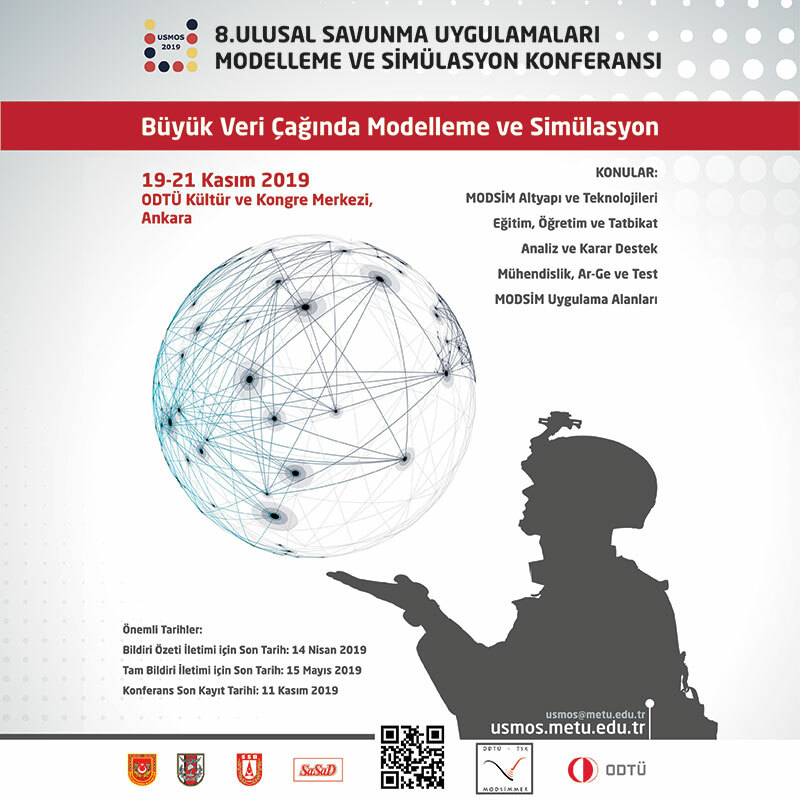 Providing innovative and powerful solutions to the Turkish Armed Forces and the National Police that have been struggling against the terrorism, Katmerciler is now the focus of the international defense sector as well. Turkey has been conducting a successful battle against the terrorist organizations both in the intrastate and abroad for a long while with its highly experienced army and police force. All the vehicles entering into the inventory of the Turkish Army, which is in the meantime the second greatest army of the NATO, are recognized as vehicles qualified in international scale as well. Some of the vehicles which are recently at the agenda of the Turkish Armed Forces and Law Enforcement agency belong to Katmerciler that is on its way of becoming the new force of the Turkish Defense Industry. Drawing the attention with its innovative products towards defense and security sectors, Katmerciler achieves to draw the interest of the international sector at the defense events with its wide product range towards the industry. Katmerciler’s most popular vehicle is the Tactical Wheeled Armored 4x4 “Hızır” featuring the characteristic of being the strongest in its own segment and catching the eye with its superior qualities. “Hızır” was launched in the last November at the HighTech Port event taking place in İstanbul with the participation of President Mr.Recep Tayyip Erdoğan. Katmerciler’s product portfolio is not only limited with “Hızır”. Besides “Hızır”, the company is manufacturing many vehicles in various categories such as the Armored Personnel Carrier Vehicle “KHAN” in line with the NATO standards, Anti-Riot Vehicle “ARV” and 4x4 Armored Ambulance. Moreover, Katmerciler offers a significant choice to the defense industry with its composite ceramic armoring system namely “Nefer” with the same protection level with the armor steel, yet lighter. KHAN, developed by Katmerciler according to the NATO standards, providing ballistic protection and high level of protection against the grenades, is the member of 4x4 Tactical Wheeled Armored Personnel Carrier family. It features the capacity for carrying nine personnel. It has a agile, dynamic, versatile and maintainable monocoque steel armor carcass that enables high ballistic protection over the Toyota Land Cruiser chassis. It is capable of fulfilling all requirements of the internal security forces for rural or urban operations conducted under all types of weather conditions. KHAN, within its own category, is a relatively more comfortable vehicle with higher internal volume and maneuver capability. Besides, instead of an additional one, it has a one-piece side armor plate in order to render the vehicle stronger than its rivals in its segment in terms of ballistics. The Anti-Riot Vehicle known as ARV is a vehicle that has been manufactured by Katmerciler for long years. ARVs, continuously developed with the R&D studies, are being exported to many countries worldwide on account of their high ballistic protection level. The vehicle cabin including the side screens and windscreens are being manufactured in various ballistic protection levels. 75% of the ARVs manufactured in the last five years for the Turkish National Police and Turkish Gendarmerie General Command were produced by Katmerciler. Ford F550 chassis is being utilized in the armored ambulance developed in NATO standards and introduced to the sector by Katmerciler. This vehicle bears all main protection features of an armored personnel carrier vehicle and is ready for production with all the equipment required by any military ambulance. Even though the outer appearance of the vehicle resembles an armored vehicle, its interior design and standards as well as its height are developed in a way to align with the purposes and prerequisites of an healthcare vehicle. 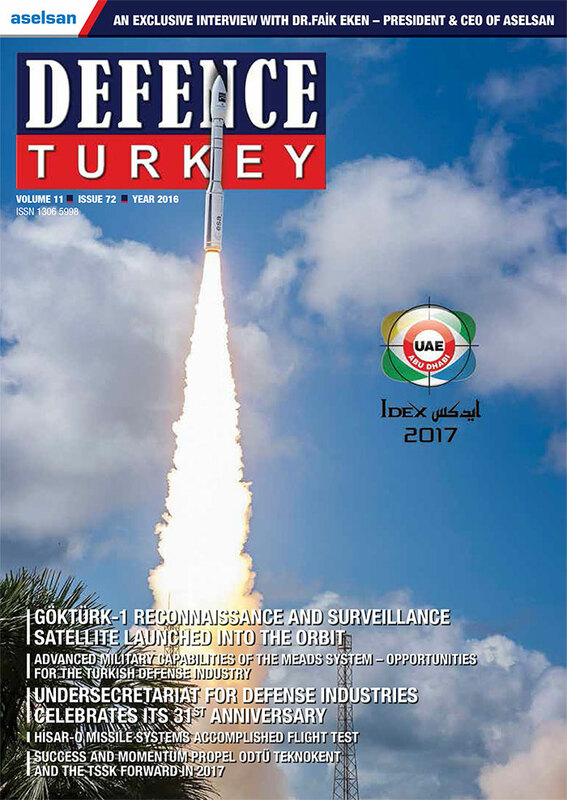 After Turkey, other NATO countries are the target market of the company. Nefer Armor system applied over the 4x4 Armored Command and Patrol vehicle of Katmerciler is also amongst the novelties introduced to the sector by the company. This composite ceramic based armoring system is lighter than the armor steel and therefore while it provides the same level of protection with the armor steel, it does not make the vehicle heavier. This system could be optimized for both rural and urban usage over the vehicles featuring 4x4 off-road capabilities. As the first example of its category in Turkey, the system was demonstrated over the Rubicon Jeep. Nefer Armor System could be implemented over the vehicles such as Toyota Land Cruiser, Volkswagen Amarok, Fiat Doblo, Ford Tourneo as well. These vehicles with superior mobility and reaction speed have their unique place in their class and could resist all types of ground and weather conditions without any problems. As the cutting-edge high technology composite and ceramic based material system is developed especially for the vehicle in this armoring system, the vehicle is equipped with the full protection features without losing anything from its performance capacity. In other words, as the “Nefer” Armor System does not make the vehicle heavier, a vehicle with higher maneuver capability than its equivalents yet comfortable comes to light. From an external perspective, one could never say that these vehicles are armored; therefore they are quite convenient for the government and state authorities such as ministers, members of the parliament, mayors and chiefs of police requesting high security and protection. 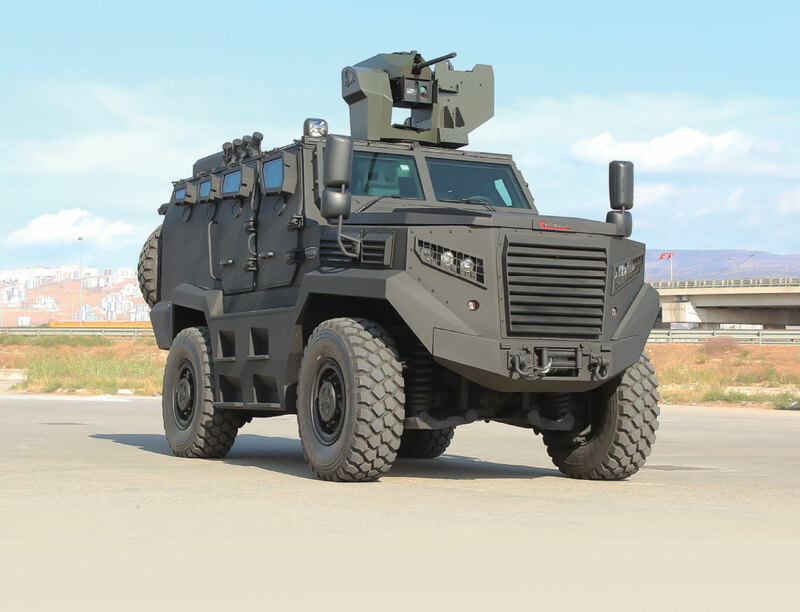 In addition to “Hızır”, “KHAN”, “ARV”, Armored Ambulance and “Nefer” Armor System the following vehicles exist in the product range of Katmerciler: Armored ADR Fuel Tanker, Riot Control Shield, Armored Tipper, Remote Controlled Armored Excavator, Armored Low Bed Trailer, Armored Water Tanker, Armored Backhoe Loader Construction Machine. The company was established in 1985. It entered into the defense industry with the production of the Anti-Riot Vehicle (ARV) in 2010. Katmerciler is the strong solution partner and supplier of the defense and security sector with its 4x4 wheeled tactical armored personnel carriers and product range composed of vehicles and equipment designed and developed at the company’s R&D Center which align with the standards of NATO and therefore are suitable for the armed forces and security forces. The company exists amongst the top 500 greatest companies and top 1000 exporters of Turkey. Katmerciler has been publicly traded at the Borsa İstanbul since 2010. The company conducts export activities to over 50 countries. The manufacturing activities are being executed in Turkey at the modern facilities in İzmir Çiğli Organized Industrial Site and Ankara Başkent Organized Industrial Site. Katmerciler is a leading and dynamic company that makes its mark in many novelties in many areas with its powerful R&D Center and its innovative approach. The company is capable of generating solutions according to the demands with its operation philosophy that does not sacrifice from quality and thus makes difference in the sector from production stage to the after sales services.